At Garber Metrology, we take weighing and counting equipment rentals seriously. 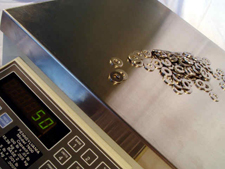 Whatever your need…from routine physical inventories …to special projects…to production emergencies…to weighing special items…we have a scale or balance available for quick delivery. All items are tested with NIST traceable weights prior to delivery or pick up. For items not in stock, we have arrangements with scale distributors all over the country providing a vast array of equipment.